Kakralomino: I am Kakralomino Kagnas Septurai. I'm an intergalactic overlord. 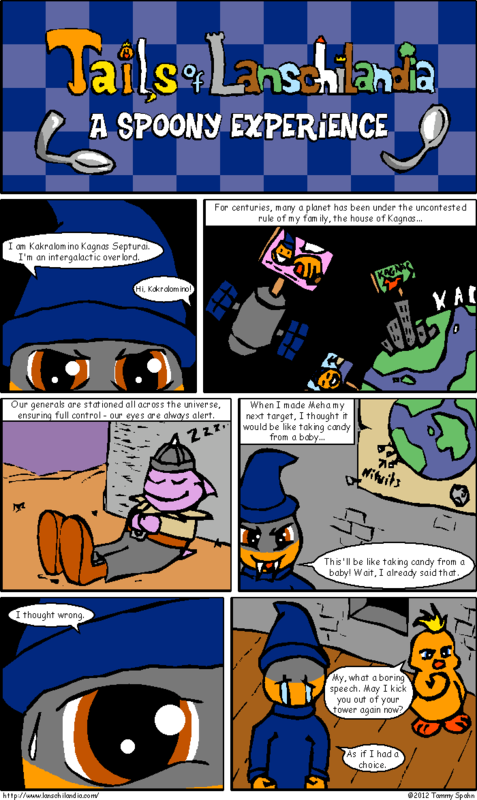 Kakralomino: Our generals are stationed all across the universe, ensuring full control - our eyes are always alert. Kakralomino: This'll be like taking candy from a baby! Wait, I already said that. Lanschi My, what a boring speech. May I kick you out of your tower again now? Kakralomino: As if I had a choice.